As the 2017-2018 school year comes to a close, the June meeting means new beginnings for members of the RHS Student Government Council. This past Wednesday, new positions were elected and assigned, creating this year’s E-Board. Now that classes are over here at RHS, the Veritas took a moment to reflect on the last few months. From graduation to sports reports, its been a busy last few months for all the students and faculty involved. Here’s the link of our 2018 wrap up. In 11 days the RHS Travel Club is bringing a group of juniors and sophomores to an exciting summer trip to Japan. Unlike most school trips, RHS is venturing out to explore and immerse themselves in the Asian culture. This is not only foreign to the students, but the clubs advisers as well! Both Travel Club advisers Kristen Walsh and Samantha Hoyo will be taking their first trip to Japan along with the students involved. Like many going on the trip, junior Caitlin Cameron, although very excited for the food, especially the sushi, is most intrigued in seeing the great architecture Japan has to offer. Don’t forget if you are taking part in this trip, there is a mandatory meeting after school today! 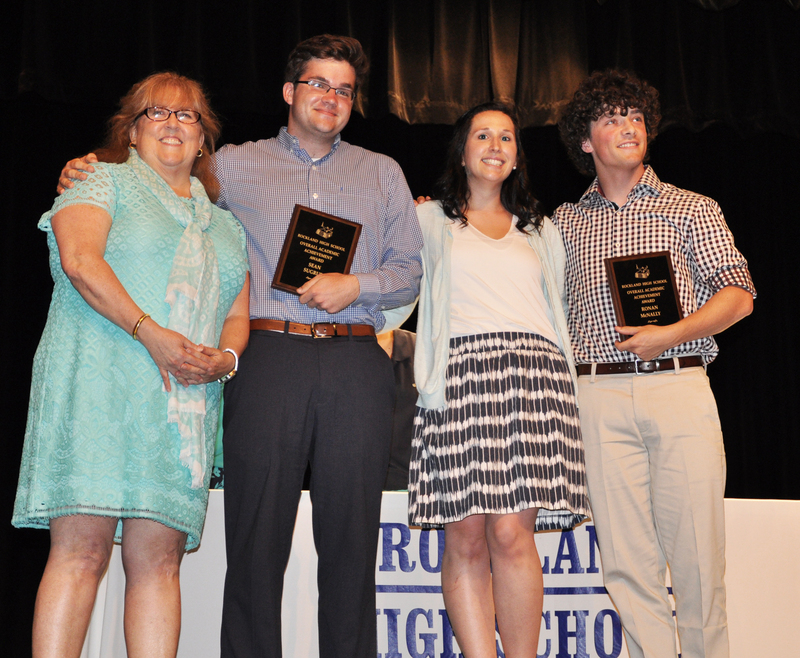 At the end of each school year, RHS holds an academic underclassmen awards ceremony in which three RHS alumni are inducted into the RHS Hall of Fame, and the present outstanding scholars are honored for their achievements. New to this year’s ceremony was the location. 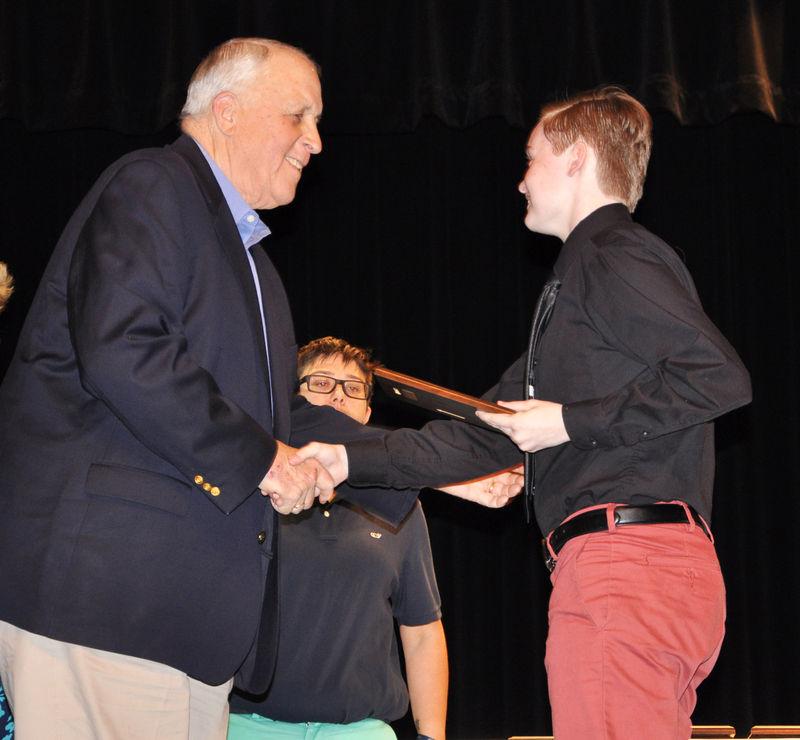 This year, the ceremony was held in our very own RHS/RMS auditorium where students and families joined together to honor the evening’s award recipients. Principal Dr. John Harrison announced each award winner and assistant principal Kathy Paulding and dean Fredrick Damon presented the awards, along with teachers from each department. From left: Pearse McNally, Ryan Quirk, Matt Ryan, Harrison Shields, Mike Leavitt, Matt Clougherty, Andrew Frazier. In front are Mr. and Mrs. Quirk, Justin Nguyen, and Dylan Bernache. photo courtesy of Ms. Walsh. From left: Thunder Donkeys: Matt O’Brien, Gavyn White, Jon Barr, Joe Campanile, Mark Shields, Liam Lenihan, Sam Gray, far right Harry O’Brien, in front, Kevin Fennell. God’s Children: back left: Pearse McNally, Matt Ryan, Harrison Shields, Mike Leavitt, Matt Clougherty, Andrew Frazier. Front: Justin Nguyen and Dylan Bernache. After three days of long hard battles against fourteen of Rockland’s finest speedball teams, God’s Children reigned supreme yet again this year. At the fourth annual Jared Lewis Quirk Speedball tournament that took place in the RHS gym this past Thursday, Friday, and Saturday, nearly $4,000 was raised for the annual scholarship that is awarded to a graduating senior in memory of Jared Lewis Quirk, Class of 2015. On Saturday, the final morning of the tournament, it came down to six teams after two days of brutal battle amongst the teams. This year, out of the 14 teams, it came down to the two beloved veteran teams: the Thunder Donkeys and God’s Children. In the end, God’s Children won making this year their third championship in all. 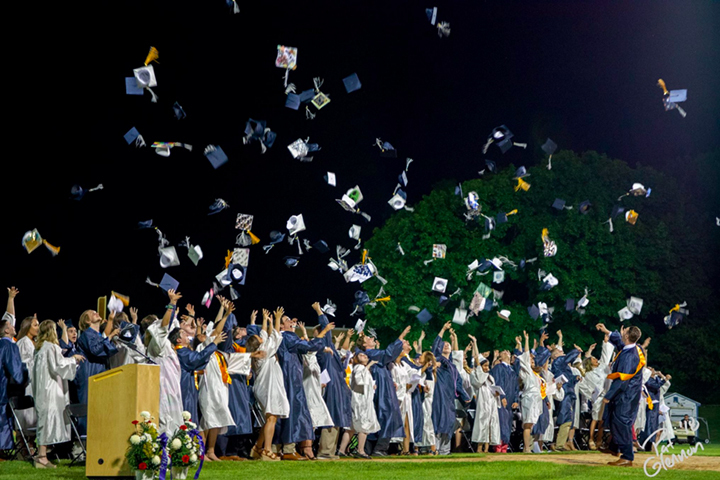 The 133 graduates of Rockland High School’s 2018 Graduation Class completed the last step in their 16 or 17 year journey through the Rockland Schools on Friday, June 1. After a week of graduation practices, banquets, visits to their former schools, and years of school work and extracurriculars, the Class of 2018 finally ended Rockland’s chapter in their life. During the evening, Dean of Students and math teacher, Fredrick Damon spoke about Bulldog pride and dancing through life. He followed by opening up to the graduates about sides of him that aren’t present or seen at RHS. Following, Class of 2018 President, Zachary Peterson spoke about RHS’s impact on the graduates’ lives and how it’ll affect life post high school. Also speaking from the graduating class was valedictorian, Sean Sugrue who poetically described the journey of Rockland education and the conquering of the curriculum. Additionally, Class of 2018 Vice President, Jill Donahue presented the junior class with the class gift to President, John Ellard III. The gift included a refurbished Academic Hall of Fame plaque and bench for the courtyard. Before the presentation of diplomas, principal, Dr. John Harrison and Superintendent, Dr. Alan Cron spoke highly of the graduating class and the journey they are all about to embark on. All in all, after fear of showers, Friday’s graduation ended up being a night of laughter, memories, and a chapter in Rockland history that’ll go down in the books. 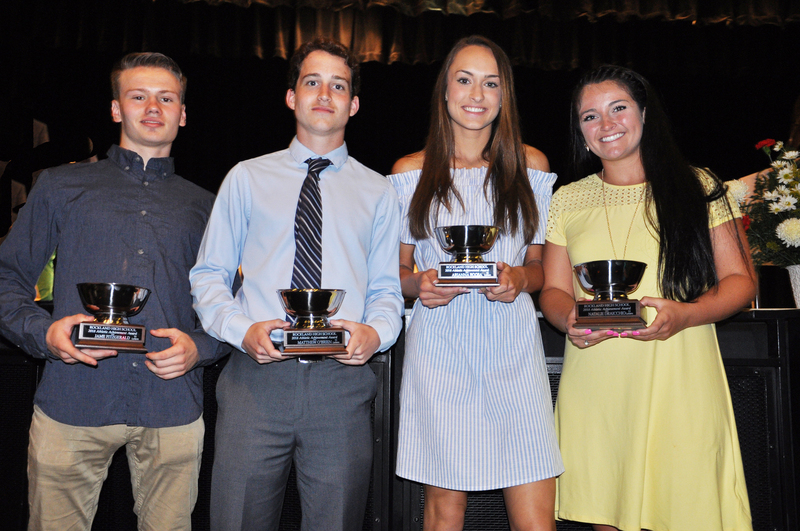 The Class of 2018 academic and athletic awards were announced in a ceremony on Thursday night (May 31) in the auditorium at Rockland High School. The highlight of the night was the presentation of the Valedictory Award to Sean Sugrue. Sugrue’s academic excellence throughout his four years at Rockland High School is well-known and admired by his teachers and peers. For a profile of Sean written by Veritas reporter Jasmin Morse, go here. The awards garnered by students in the Class of 2018 provided a night to remember prior to their graduation held on Friday night June 1 at 7 pm. Below are the Athletic Awards presented by Assistant Athletic Director Richard MacAllister. Award winners are selected by all the athletic coaches, Athletic Director, Gary Graziano and MacAllister. The Woman’s Coaches Award: Margaret Jones. The Vicki Solari Award: Natalie Draicchio. The John Bell Bulldog Award: Jaymie Atkins and James Fitzgerald. The Louis Cifello Award: Joseph Campanile and Jonathan Baar. The Warren Najarian Bulldog Pride Awards: Sydney McKenna, Christopher Penney, and Devin Gallagher. 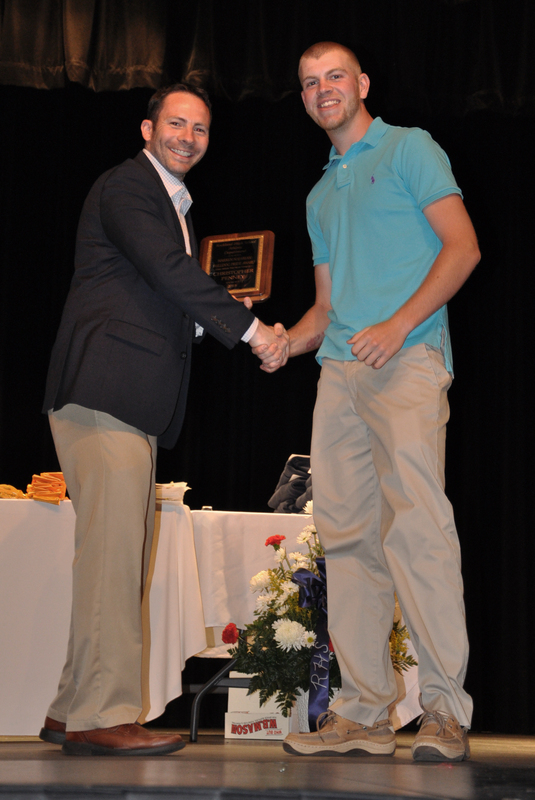 Chris Penney received the Warren Najarian Award from Mr. MacAllister. The John Delorey Awards: Erin Field, Hannah Boben, and Harrison O’Brien. The Charles E. Leverone Award: Seth Rosczewski. The Senior Female Athletic Award: Erika Ochenduszko. The Peter J. Crowley Award: Matthew O’Brien. 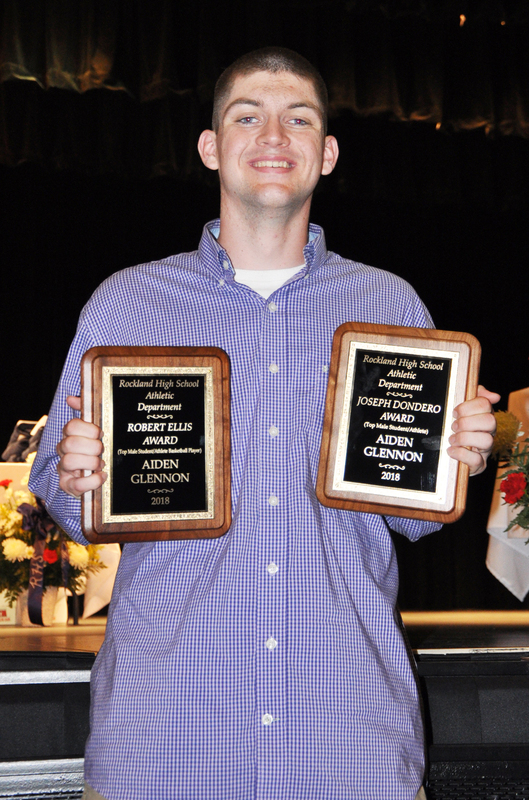 The Robert Ellis Award: Aiden Glennon. 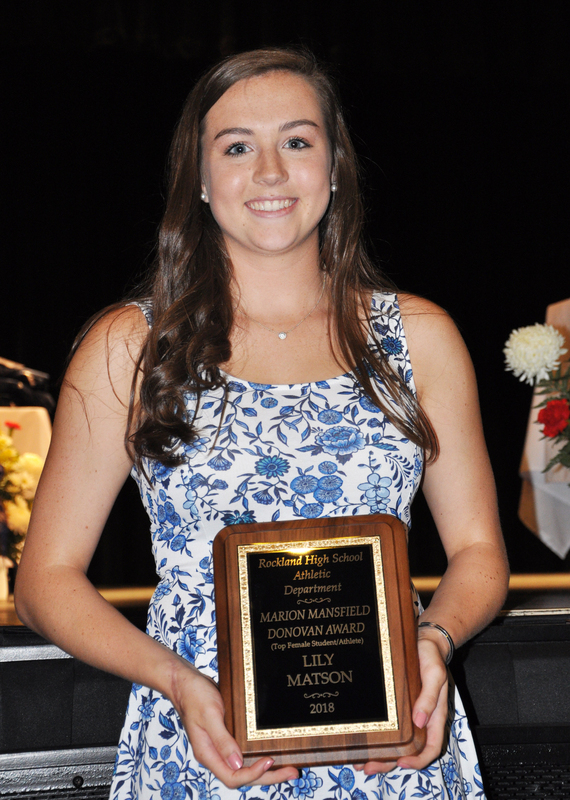 The Marion Mansfield Donovan Award: Lily Matson. The Joseph Dondero Award: Aiden Glennon. The Dr. Joseph Dunn Award: James White. The Silver Bowl Winners: Arianna Roosa, Matthew O’Brien, James Fitzgerald, and Natalie Draicchio. 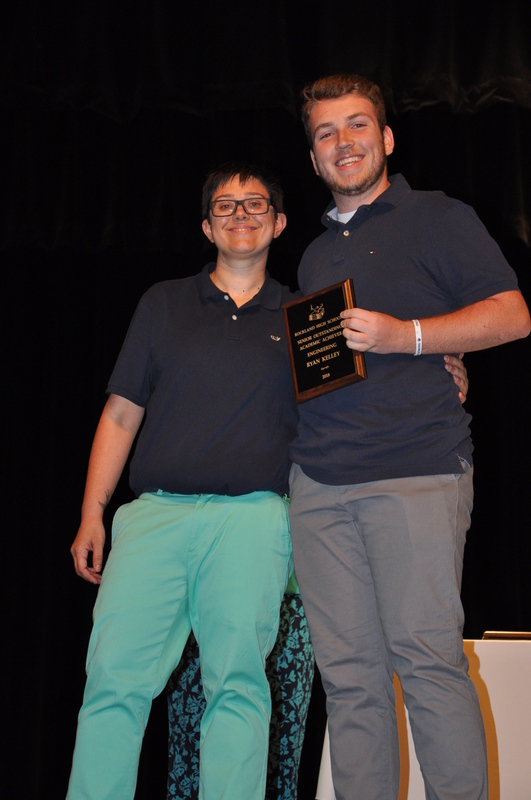 The Patrick J. Sullivan Memorial Scholarship: Matthew O’Brien. The Good Guy Scholarship (in memory of Jared Quirk): Joseph Campanile and Jacob Lauria. The Robert J. and Christine M. Biggins Courage Award: Rebekah Panaro. The George and Betty Domigan Memorial Scholarship: Jillian Schofield. The Specialist Matthew Pollini Memorial Scholarship: Natalie Draicchio. 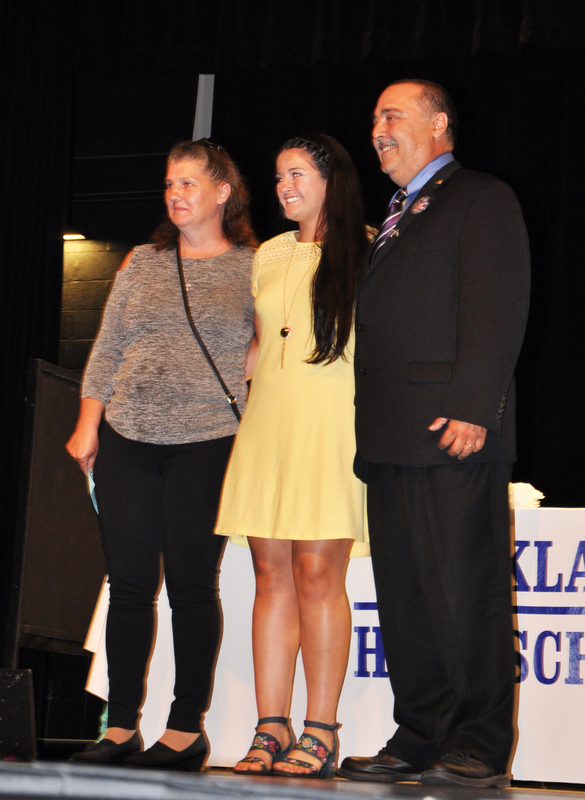 The Skarbeck Bober Teacher Scholarship: Natalie Draicchio. The Jimbo Award: Joseph Yeadon. Rockland/Hanson Rotary Community Service Scholarship: Jaymie Atkins and Hannah Murphy. The John Mahoney Memorial Award: William Breadmore. 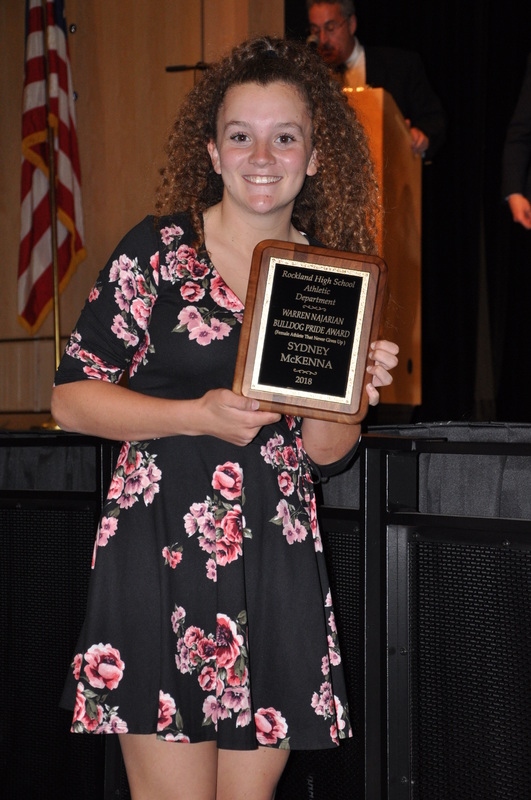 The Edward Sokolowski Award Scholarship: Kellie Berry. The Reuben A. and Lizzie Grossman Foundation Award: Macie Jones and Aiden Glennon. Mr. Rockland Scholarship: Louis Casey. Spellman Oratorical Contest: Aiden Glennon, Erin Field, Sean Sugrue, Sean Fitzgerald, Stephanie Blaney, Kellie Berry, Brianna Ferraro, and Soairse McNally. The Share the Spirit Award: Madison Parlee. The Phoenix Award: Jayanna Holliman-Parham. Ann E. Phelps Make a Difference Award: Madison Parlee. Nicholas Cousin, United States Marine Corp. The Veritas Awards: Matthew O’Brien, Ryan Mott, Danielle O’Brien, Harrison O’Brien, and Mark Shields. The Senior Academic Letters for Excellence in Education: Hannah Boben, Michelle Downey, Natalie Draicchio, Brian Driscoll, Brianna Ferraro, Ryan Kelley, Delaney Leahy, Sarah Lovell, Robert Rossman, and Nicholas Walker. The Community Service Awards: Sean Sugrue and Ronan McNally. The Excellence in Mathematics Awards: Alexander Domina, Rebecca Elliot, Sarah Lovell, Ronan McNally, Joseph Naughton, Sean Sugrue, and Nicholas Walker. High Honors the First Three Terms: Eden Dalton, Natalie Draicchio, Joseph Naughton, and Sean Sugrue. Advanced Placement Scholars: Aiden Glennon, Meredith Long, and Lily Matson. Advanced Placement Scholars with Honor: Joseph Naughton and Sabrina Sprague. The Senior Art Department Awards: Brian Driscoll and Alicia Williams. The Communication and Digital Media Department Award: Matthew O’Brien and Zachary Peterson. 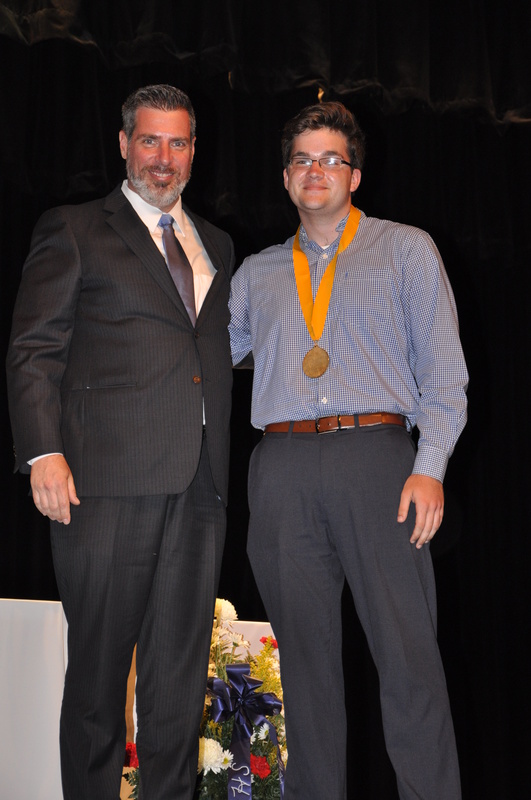 The Family and Consumer Science Department Award: Mark Shields. The Social Science/History Department Award: Eden Dalton. The Mathematics Department Award: Alexander Domina. The Construction Technology Award: Jonathan Ronan and Erik Dutcher. The Physical Education Department Award: Christopher Penny and Natalie Dracchio. 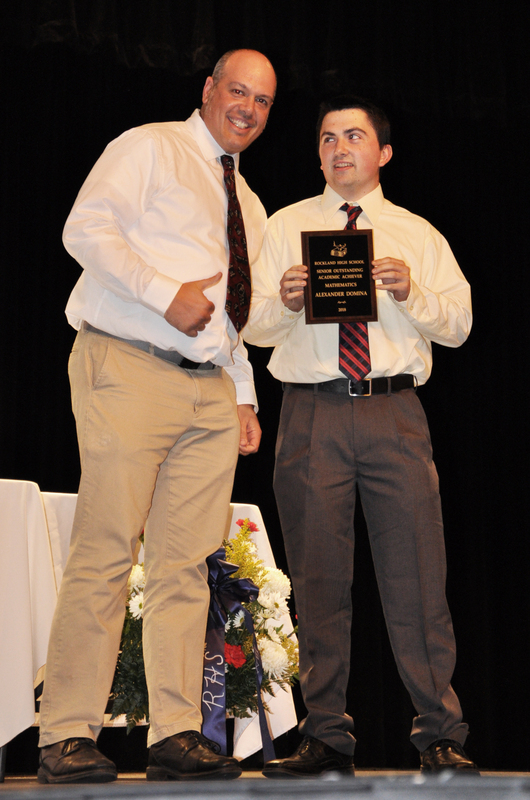 The Health Education Award: Jacob Lauria. The Music Department Award: Erin Field and Ryan Struzziery. The Robotics Award: Keith Wiley and Jacob Wright. The Engineering Award: Ryan Kelley. The Computer Science Award: Robert Rossman. The Science Department Award: Joseph Naughton and Isabelle Uong. The Health and Family & Consumer Science Award: Jocelyn Reera. The Overall Academic Achievement Award: Sean Sugrue and Ronan McNally. Massachusetts Secondary School Administrator’s Association Student Achievement Award- Principal’s Award: Aiden Glennon. Massachusetts Association of School Superintendent’s Academic Excellence Award: Ronan McNally.